Dumfries Cricket Club is raising funds for the Nepal Earthquake. The club is joining cricket clubs across Scotland in a fundraising drive for Nepal this weekend. Players at Saturday’s match at Nunholm will be asked to donate an extra £1 for their mid-match tea this weekend for the DEC Nepal Earthquake Appeal as part of “Teas for Nepal”. 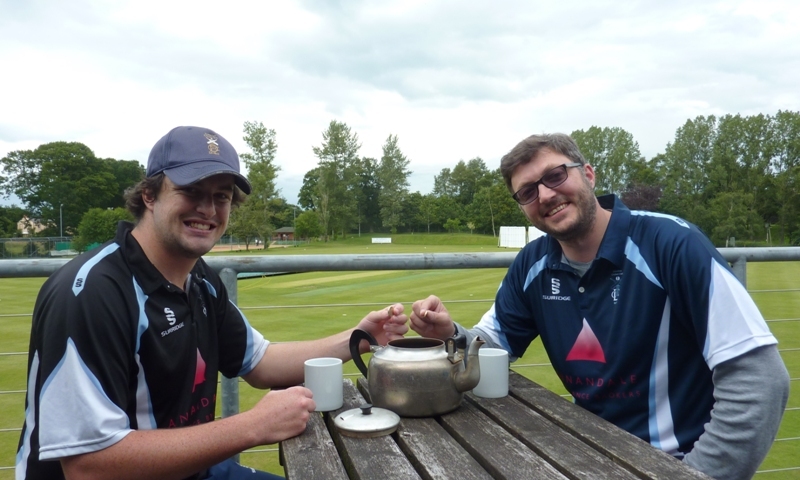 “Teas for Nepal” – Josh for the 1sts and Andy for the 2nds start off the Nepal Earthquake donations at Dumfries Cricket Club. The Nepalese cricket team arrived in Scotland this week to play the Scottish men’s national team in two ICC World Cricket League matches. To mark this occasion, Cricket Scotland has asked local clubs, including Dumfries Cricket Club, to help raise funds for a fellow cricketing nation. As well as asking members and spectators to put a ‘pound in the teapot’, Dumfries Cricket Club will also be selling raffle tickets to raise money for the appeal. Scottish cricket has attracted celebrity support due to its commitment to help efforts in Nepal. Joanna Lumley, who spearheaded the campaign for the Nepalese Gurkhas’ entitlement to UK citizenship, has praised the ‘golden-hearted’ cricket players of Scotland. She also has a Dumfries and Nunholm connection through her involvement with the Peter Pan Moat Brae Trust for whom the Club hosted a charity cricket match in 2012. 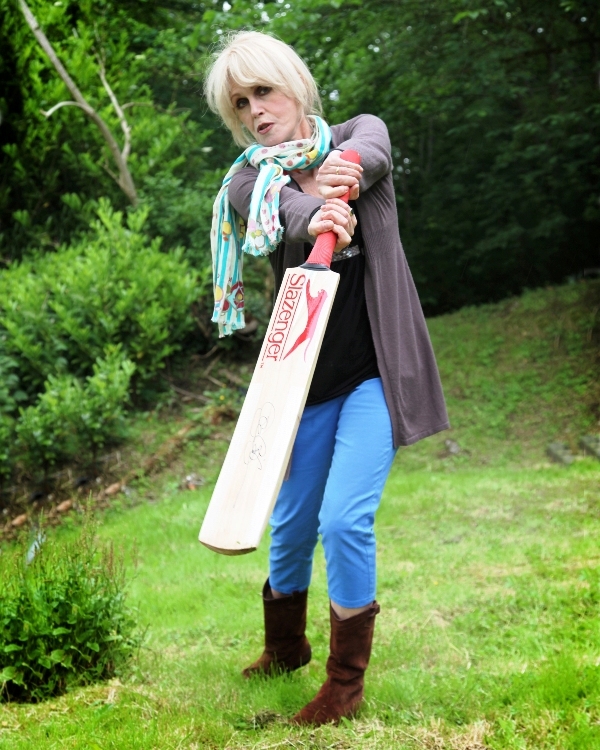 Joanna Lumley said: “These are going to be gripping matches by any standards: the hill men of Nepal against the hill men of Scotland, a pitch looming between, bails in place, the stumps trembling in anticipation of the battle of the warriors. Tony Brian, chair of Cricket Scotland, said: “Nepal is still recovering from the devastating earthquake that struck earlier this year. “We thought that the Nepalese team’s arrival in Scotland would be a good opportunity to raise money and help a fellow cricketing nation. A spokesman from Dumfries Cricket Club said: “Nepal might be a long way from Nunholm but we were all horrified by the devastation the earthquake caused earlier this year. “The Nepalese are very passionate about their cricket and their best national team, matches can draw crowds of up to 15,000, and many follow their side online. So they will definitely be following the matches at Ayr this week and this distant support from Scottish Cricket will register with them. For those who can’t attend a match at their local club this weekend, donations can be made online at www.justgiving.com/Cricket-Scotland .